Matt Yglesias attacks "the surprisingly persistent myth that George W Bush was some kind of legislative steamroller who somehow coerced Congress into doing things it didn’t want to do through magic narrative powers that Barack Obama unaccountably fails to use." He talks about Sarbanes-Oxley and McCain-Feingold and tax cuts and NCLB and Medicare Part D, and I'm pretty sure he's right about those. But his opponents will probably be willing to concede all of that. They're thinking about something else. It's not surprising that this is the foremost thing on their minds. During the Bush years, progressive Democrats felt that most of the country saw them as unpatriotic and possibly traitorous for having well-reasoned and ultimately correct views on major foreign policy questions. People who deceived the country about WMD ruled the country and were admired, while people who figured out the truth and tried to make it clear to others were a minority taunted by everyone from Ann Coulter to Chris Matthews. You can forget Sarbanes-Oxley. This is the sort of thing that people don't forget. And it transforms the way they understand politics. The idea is that the financial crisis could've been the Democrats' 9/11, and this time no WMD-style lies would be needed to pass legislation. The truth would be enough. Under the same sort of national climate of anger, this time one where anybody who opposed higher taxes on the rich or more bank regulation or health care reform or whatever would be hated as an elitist scumbag, Republicans would find themselves tied in the same knots that Democrats were over Iraq. Whatever it was that prevented Democrats from filibustering the Iraq War Resolution, that got them making bad arguments against Dean, that got all that ridiculous War on Terror legislation through -- that was going to happen again, just the other way around. And we would get lots of big progressive legislation passed, just like Bush got his War and Homeland Security and the Patriot Act. And since our big legislation is actually good legislation instead of being disastrous like the Iraq War, this would be a tremendous achievement for America. Anyway, that's the idea. Maybe there's some reason it wouldn't work. But citing a bunch of domestic policy legislation where Bush had to cut deals really is irrelevant. 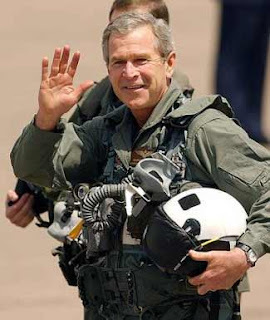 The big question in progressive minds and hearts is: Why can't we do it the way Bush did all the War on Terror stuff? Am I the only one who thinks of John Roberts? And Samuel Alito? Especially Alito, whose vote moved the Court substantially to the right. That's the best summary of what's going on here I've ever read. Works for me. Guess we didn't understand that leading Dems, most especially the Prez, didn't really want to govern for the benefit of most people. Why can't we do it the way Bush did all the War on Terror stuff? Because even within the Democratic party, redistributionist social provision and stricter regulation of the FIRE sector, can't command reliable majorities? As for the big question: because we aren't Republicans. They have a very different modus operandi. Loyalty was the watch-word for the Bush administration, and getting Liberals to hang together without putting their two cents in is almost impossible. We believe in personal opinions. No liberal ever said, "If it's good enough for Obama, it's good enough for me!"